The rather mundane element is this: I am going to a conference in August. This is my fourth year attending said conference, and while it is not without elements of fun (or not; I'm looking at you, San Francisco), the trip is not in and of itself something to get all worked up over. Only the exciting element is this: this year it's in... wait for it... ORLANDO, FLORIDA. I'm not so lucky that the conference is on Disney property, and I'll of course spend most of my time at, y'know, the actual conference, but still - there will be some free time, so it's time for a piecemeal Disney trip with hotel expenses paid, right? Well... maybe. Guys, I'm thinking of defecting. I am not a huge Harry Potter fan, but I've been to the original Wizarding World of Harry Potter in Universal Studios Florida and it was a pretty awesome experience. I am therefore curious about the new Diagon Alley portion. I hear great things about the Hogwarts Express and the Gringotts ride. ...except on the final night, when the wrap-up party takes place at the Hard Rock Cafe Orlando. There's only one of those, right? The one at Universal. 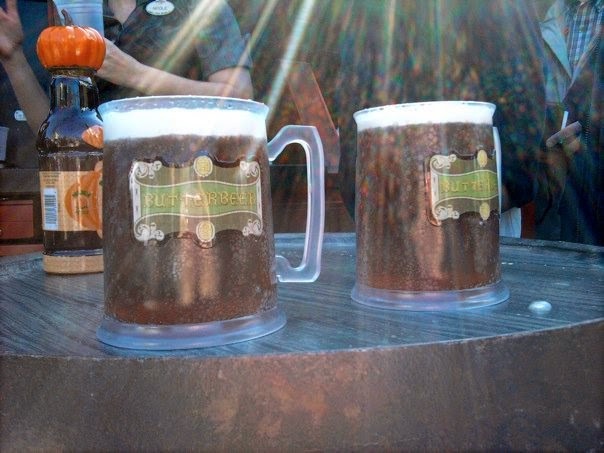 I could totally skip some of the party for some butterbeer action. I dunno, guys. I <3 Disney SO MUCH, but I'm leaning toward snapping up a Universal ticket and doing the Harry Potter thing this time around. It kinda feels like a gimme, y'know? I'll mostly be attending conference sessions and I won't have a ton of time at any park. It being such an afterthought, why not make that afterthought Universal? Thoughts? Am I a terrible turncoat here? DON'T WORRY WDW YOU'RE STILL MY FAVORITE I'LL SEE YOU IN NOVEMBER!!! Diagon Alley is amazing. I highly recommend you go to Universal for the day. I will always love Disney, but they are killing it over at Universal right now. We are talking about taking a trip solely at Universal once their Volcano Bay water park opens. I want to take a million selfies with the dragon!